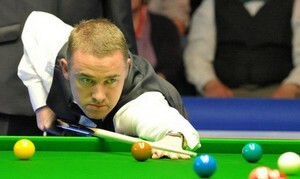 Stephen Hendry and Marco Fu made up for German Fans to appear in Munich for PTC12 in January for winning three matches today. The two players failed to qualify for German Masters which will be held in February in Berlin will play against each other in the last 16 in Munich on 6 January. The seven-times World Champion Ben Harrison 4-0, Scott Donaldson 4-2 and at last Ken Doherty by 4-2 to book his seat in the last 16 of PTC 12. Hong Kong cue man who did not qualify for German Masters will meet Hendry in last 16 after beating Alfie Burden 4-1, Fergal O'Brien and Ryan Day in deciders. Stephen Maguire who reached the quarter-finals of UK Championship last week is also through after beating Ali Carter 4-1 in the final round. 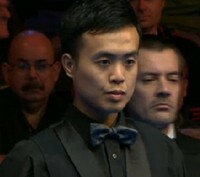 Marcus Campbell saw off Li Yan by 4-2 to book his seat as well. Kurt Maflin scored a decider victory over Shaun Murphy in the second round and went on to beat Jack Lisowski 4-2 to secure his last 16 spot. David Gray conceded only one frame on his way to win three matches today while Andrew Higginson beaten Dominic Dale and Mark King to reach the last 16. The latest PTC10 winner continued his good run making it to Germany. Please note, the remaining rounds (Last 16 to Final) will be played on 6-8 January 2012 at the Event Forum, Fuerstenfeldbruck, Munich.